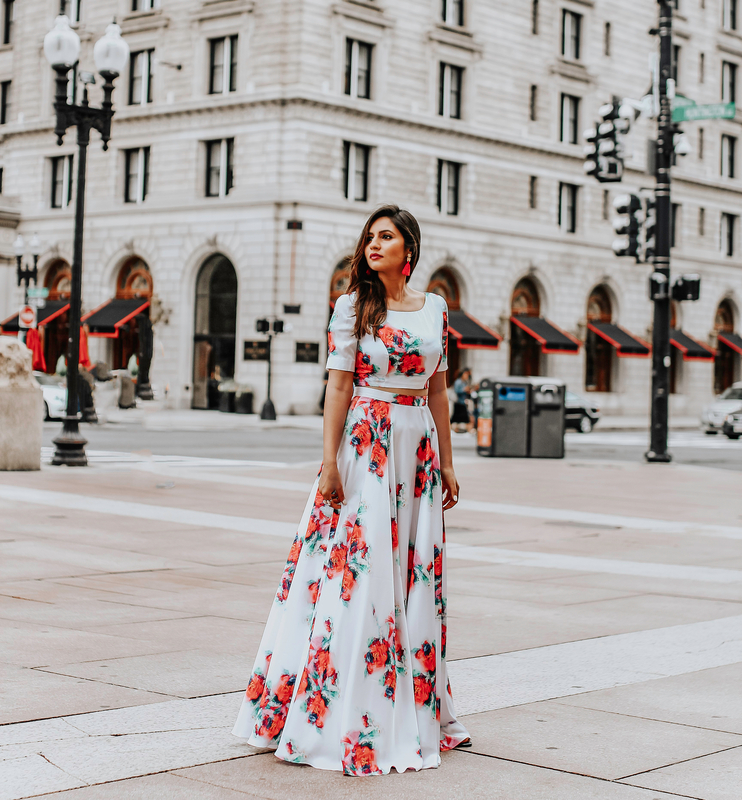 With 2017 winding down, I’m recapping this summery floral look from Harleen Kaur collection. I absolutely loved this full skirt and crop top matching set and it got me so many compliments. Listed below a few items from the new collection that I’m crushing on right now.